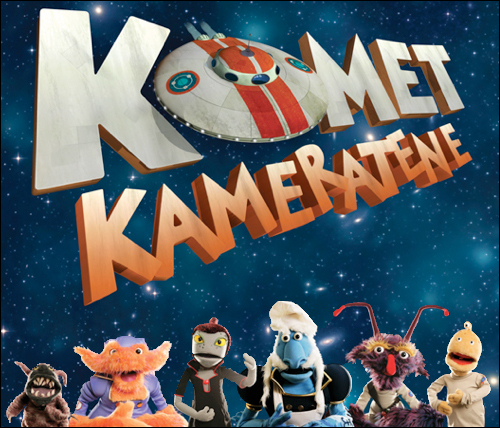 Kometkameratene was a sci-fi puppet series for kids, produced by national broadcaster NRK, running for seasons 2008, 2009 and 2010. Together with composer Sjur Hjeltnes I developed all the music, which included a complete musical profile, main theme, 40 songs, musical library and a multitude of cues and edits. I worked closely together with the producers, directors and editors, and also did all the voice production for the songs. The show was nominated for best new TV-series for kids by Norwegian Emmys. There is an extensive documentation of the project in the blog. Each episode has a making-of, in addition to lots of surrounding material. As of early 2011, NRK still keeps a lot of material from the show available on their website.